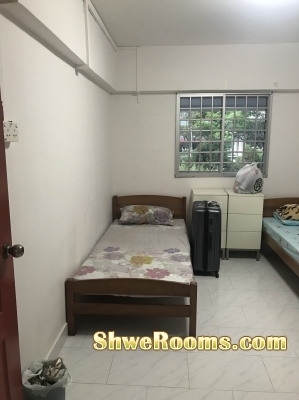 - near wet market, 24hr (Sheng Siong, Prime, Fairprice, 7 Eleven, ATMs), Mini-Marts , Bedok mall, Bedok point & Bedok bus interchange. - very convenient place at bedok central area. - Internet, Unlimited home phone, Refrigerator, Washing machine, wooden Wardrobe, single bed are all provided.